Relatives of Mark Duggan, whose shooting dead by police in 2011 sparked riots across England, have called for a public inquiry into British policing, together with the families of other black men killed in police custody. Their campaign was prompted by the Independent Police Complaints Commission (IPCC) report into Duggan’s death that ruled his killer had not committed any wrongdoing. Police shot Duggan on suspicion he was in possession of an illegal firearm. While he was not found to have a weapon, a handgun was found in a sock 14 feet away from his body. Campaigners are calling for an investigation after reports emerged that the man who allegedly gave Duggan the gun was known to the police and known to have previously committed crimes with the weapon. In March the IPCC report said Duggan was likely to have been in the process of throwing away the handgun when he was shot. 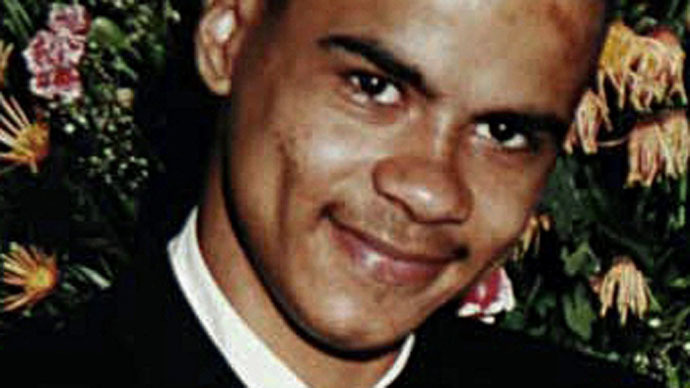 Mark Duggan’s aunt, justice campaigner Carole Duggan, has accused police of a cover-up. “A public inquiry is the only way to find out whether or not senior officers from Operation Trident have been colluding with armorers, that they provide protection to, to put guns on to the streets of London, so that they could then arrest those receiving the weapons,” she said Sunday. Operation Trident investigates gun crime within London’s black communities. Carole Duggan insists her nephew was not a gangster. Courtenay Griffiths QC, one of the most high-profile black lawyers in the UK, said police practice needed to be investigated, especially of those officers working in undercover operations. He added that the use of lethal force and deaths in custody should be carefully examined. “For the first time in my historical memory we have a Tory home secretary in Theresa May who is not afraid to take on the police and in particular the Police Federation,” Griffiths said. “It seems to me the timing is right for us to seize the opportunity to demand from Theresa May a judicial inquiry into the police,” he said.